Discover the Lyme disease treatment program that has given others hope even after other treatments have failed. According to the CDC, at least 300,000 people contract Lyme Disease each year in the United States. That’s 300,000 people afflicted with chronic pain, headaches, fatigue, brain fog, and countless other debilitating symptoms. Out of those that seek treatment for Lyme Disease, It is estimated that 10-20% of patients are still suffering after traditional treatment. It is estimated that currently over 1 million people previously treated for Lyme disease are currently still suffering with symptoms. WHY DO PEOPLE CONTINUE TO SUFFER? BECAUSE MOST DOCTORS DO NOT UNDERSTAND THE COMPLEXITIES OF LYME DISEASE. Most doctors learn that Lyme disease is caused by Borrellia Burgorferi, a bacteria transferred to a person via a tick bite. This is true, by definition, a Borrellia Bergdorferi infection is referred to as Lyme Disease. However, Borrellia is only one of hundreds of possible pathogens, easily transmitted via tick bite, each with its own method of operation and associated symptoms. It is due to this that Lyme Disease a much more complex condition than previously understood by most physicians. This is why we refer to Lyme and related disease as tick-borne illness. It gets even more complex when we begin to consider the infinite number of combinations of different microorganisms a person could possibly be infected with. Sure, if you are certain that you have a Borrellia infection only, Doxycycline may be an effective treatment. But if you’re carrying around an assortment of unknown pathogens, treatment may not be that simple. It’s no wonder symptoms vary so widely and why treatments are ineffective for so many. Once you have a better understanding of the complexities of Lyme disease, you begin to understand why there is so much confusion surrounding tick-borne illness. It’s difficult or impossible to diagnose, and can be extremely difficult to treat. Often times doctors simply throw antibiotics at the problem, they feel this is the solution to healing Lyme when it is not that simple. Antibiotics kill off the body’s healthy bacteria as well which can make patients feel even more ill and can interfere with natural healing mechanisms of the body. This is not to say antibiotics don’t have their place in Lyme disease treatment. Antibiotics can be beneficial, and a strategic part of treating tick-borne illness, if prescribed by a Lyme Literate doctor who understands when and how to use them effectively. You see, some of the microbes responsible for symptoms of tick-borne illness have sophisticated mechanisms to protect themselves against antibiotics. It would be nearly impossible to get rid of all of these different types of microorganisms using antibiotics alone. Infusio has developed a powerful new approach to healing. Battling a mysterious cocktail of unknown microorganisms in the body is a daunting task for any physician, therefore, the Infusio Concept approaches the treatment of tick-borne illness in a new and unique way. Rather than attempt to treat every individual symptom or pathogen in the body, which would be nearly impossible, we optimize the immune system utilizing Infusio’s 5 Steps to Health, our cell therapy protocol, and cutting-edge science-backed supportive treatments to activate the body’s own disease fighting potential. A person’s health relies primarily on the performance of their immune system. Our approach assumes that a healthy body can defend itself against disease and that the natural tendency of our body is to heal. Most people are not aware of just how powerful the immune system is. In today’s medical climate of taking a pill for every possible symptom or ailment, many people forget that the body is a powerful, self-sufficient healing machine. At Infusio, we harness the power of the immune system to heal the body. Rather than attempt to treat each symptom, we build a solid foundation of health and establish an environment in which the body is able to rid itself of harmful pathogens and restore healthy cell function. We use this approach at our clinics with great success in treating thousands of patients with lyme disease, autoimmune disorders, multiple sclerosis, cancer, chronic fatigue syndrome, and other chronic degenerative Illnesses. The immune system is the engine that keeps the body running. Any imbalance or flaw could dangerously throw everything off balance and affect a person’s ability to fight off infections and diseases. Lyme can wreak havoc on the immune system. Research shows that certain tick-borne pathogens have the ability to suppress immune activity, interfere with immune mechanisms, and can lead to false negatives on Lyme tests. Re-establishing a healthy immune cell ratio is imperative to helping your body defend itself against invading pathogens. Factors that contribute to a suppressed immune system include stress, environmental challenges, improper nutrition, and chronic inflammation. In modern culture, these negative factors run rampant, and most people’s immune systems have been compromised by nutritional deficiency and toxicity to a level that could drastically affect their ability to heal when infected with any of combination of tick-borne pathogens. Through specific treatments we restore healthy ratios of immune cells, and restore proper function of the Thymus gland, which can drastically improve the body’s ability to detect and destroy harmful microbes effectively. At the heart of the Infusio treatment protocol is cell therapy, the most cutting-edge form of regenerative medicine. Cell therapy involves the use of tissues, stem cells, and cell extracts which have the ability to repair, replace, and restore structures and functions in the body that may be damaged due to aging, disease, or trauma. We often think of stem cells as cells that are able to change into, and replace, damaged cells. While that may be true to a certain extent, stem cells do much more than that, including recruit exosomes to regulate body functions to help repair what needs to be repaired. The body can lose its ability to mobilize stem cells. Cell therapy can help restore cell-to-cell communication, and to mobilize stem cells for healing. Clinical trials indicate that stem cells work best in combination with other supportive cells and growth factors. Neurological Lyme disease, occuring in later stages of Lyme disease, is when the neurological system is affected and symptoms may occur including brain fog, visual disturbances, Bell’s palsy (facial paralysis), and more due to nerve damage and interruptions in cell to cell communication. Infusio’s Cell Therapy protocol can help the body to repair damaged nerve tissue, and improve neuro-lyme symptoms and cognitive function. 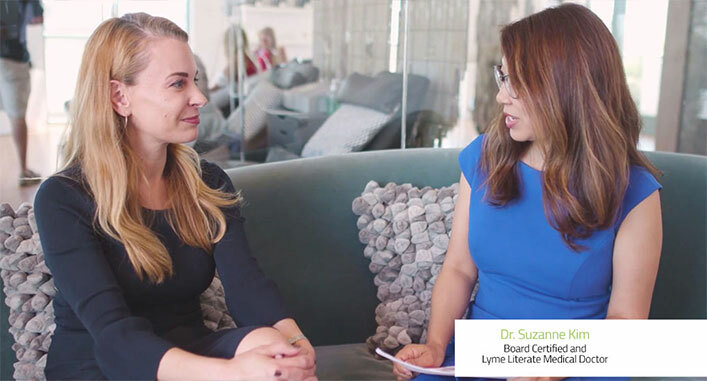 In addition to Infusio’s Five Steps to Health treatment concept, created by Infusio founder Philip Battiade, cutting-edge treatments and diagnostics are an essential component of Infusio’s Lyme & Tick-Borne Disease Program. Our treatments enhance the efficacy of cell therapy, and work to help restore healthy foundational processes and the patient’s overall well-being. No more waiting around for hours in a cold, sterile doctors office. Infusio takes healing out of the doctor’s office and places it into a calm, relaxing environment reminiscent of a day spa or wellness retreat with friendly, caring medical staff, water fountains, massage, and green juices. Emotional well-being is just as important to healing as your physical state, so we have created an environment conducive to healing and wellness. The mind-body connection is a powerful aspect of our approach to restoring health. A body in stress cannot heal. If the body is experiencing fight or flight mode, healing mechanisms of the body are affected. When we minimize stress, we reduce cortisol levels and increase seratonin and oxytocin levels, which not only increases our patients sense of well-being, it actually improves the body’s ability to heal. Healing is possible when you’re in the right hands. Our skilled medical staff are here to serve you and embody a sense of empathy. We have worked with thousands of patients and understand the plight of those afflicted with chronic degenerative disease, and we aim to restore a sense of hope within our patients. 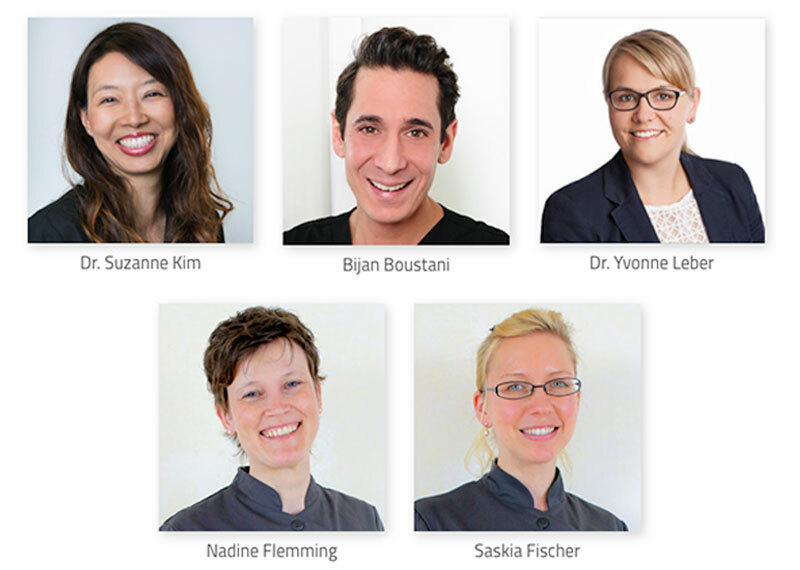 Infusio is made up of an international team of Lyme literate doctors, scientists, and naturopaths who represent some of the leading experts in tick borne illness and chronic disease treatment. We not only understand the complexities of the disease but also understand how Lyme symptoms can impact your sense of well-being, personal relationships, and quality of life. Over years of successes in Europe and the United States, our goal has always been to help restore the health of those who are suffering, so they can restore meaning and purpose to their lives. For an in-depth look into our program click the button below. Fill out the form and an Infusio Patient Care Coordinator will be in touch to address your specific situation and help you determine if Infusio is right for you.